DoITPoMS Teaching and Learning Package "Dielectric Materials"
↑ Scaife, Brendan (September 3, 1998). 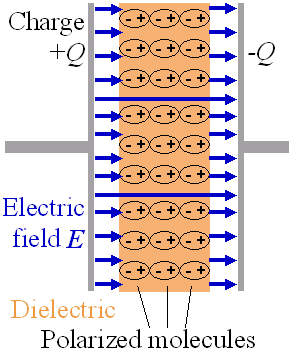 Principles of Dielectrics (Monographs on the Physics & Chemistry of Materials) (2 nd ed.). Oxford University Press. ISBN 978-0198565574.